Express their needs and concerns in order to bring about change. Organise educational and social events which meet the needs of the members. Promote the individual development of members through the sharing of experiences, information knowledge, skills and abilities. 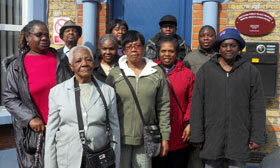 To network with other users in Waltham Forest. Membership is free and automatic to all BPMHA users. The Management Committee, which is elected annually at the AGM, holds regular monthly meetings. The Men's group gives male users the opportunity to discuss a number of topics from a male perspective, (personal, health and social) chosen by the men themselves. 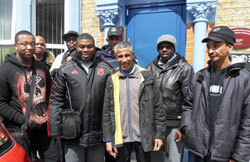 The aim is for men to take a more active part in activities held at the Centre by putting their views and opinions forward. The group also hopes to improve social awareness, enable greater interaction amongst men in the community and increase confidence.